Our maiden trip into East Africa took us to the wildlife paradise on earth – The Serengeti National Park in Northern Tanzania. A visit to the Serengeti National Park is a dream come true for anyone interested in wildlife and it is needless to say that we made most of this experience. Going forward we will be sharing with you some of the most memorable moments that we had during our visit there. While the abundance of flora and fauna was something we were expecting to indulge in, what took our breath away were the stunning landscapes, gorgeous sunrise and sunsets. So let’s start our journey with a post dedicated to this absolutely beautiful place! All images were taken with the D80, 12-24mm f4 lens mounted with a polarizer filter. 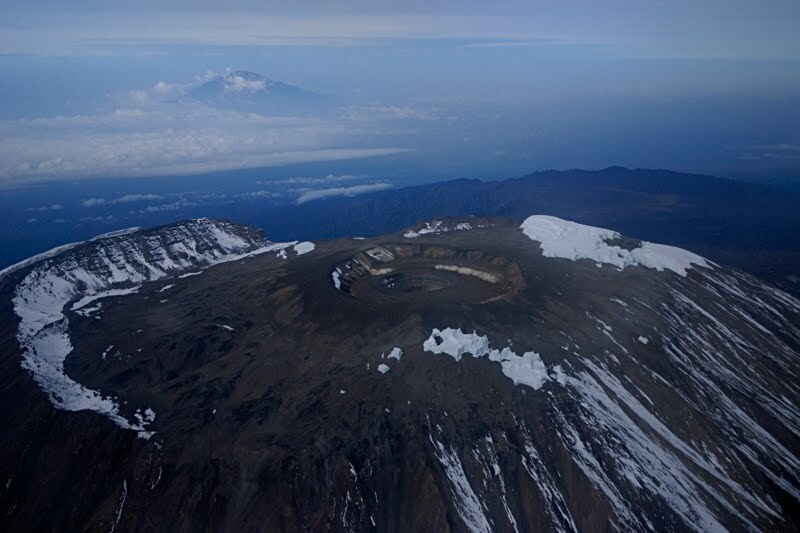 This image of the snow capped peaks of Mount Kilimanjaro was taken from the aircraft during our flight to Kilimanjaro. The clear skies on this particular day gave us the opportunity to observe the crater pretty well and because it was Christmas, the pilot in the spirit of the season gifted the passengers a few extra minutes by circling the crater a couple of times. You can imagine how excited we were on having been able to see the crater so clearly. 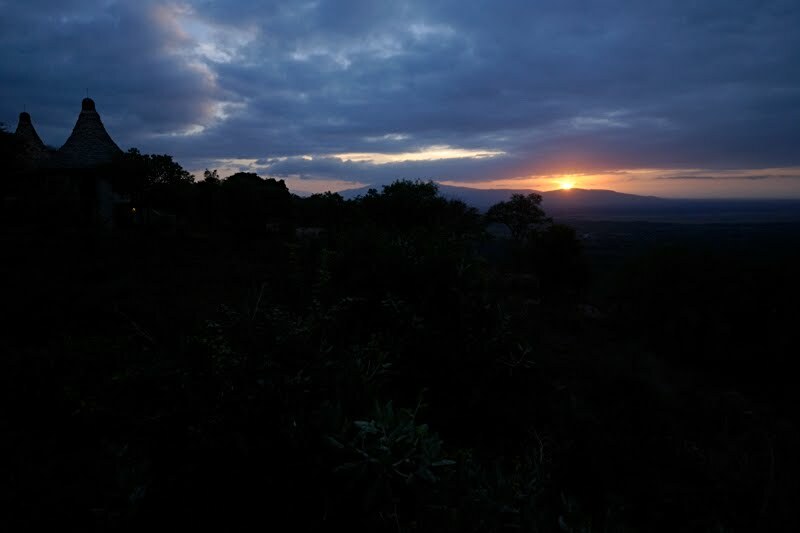 The photograph of this sunrise, which was one among the many sunrises that we observed, was taken from the Serena Lodge at Lake Manyara. The overcast skies during our stay at Kirawira camp in Western Serengeti provided ample opportunities to photograph the amazing cloud patterns. The sun was playing peek-a-boo with us, but we were not complaining. 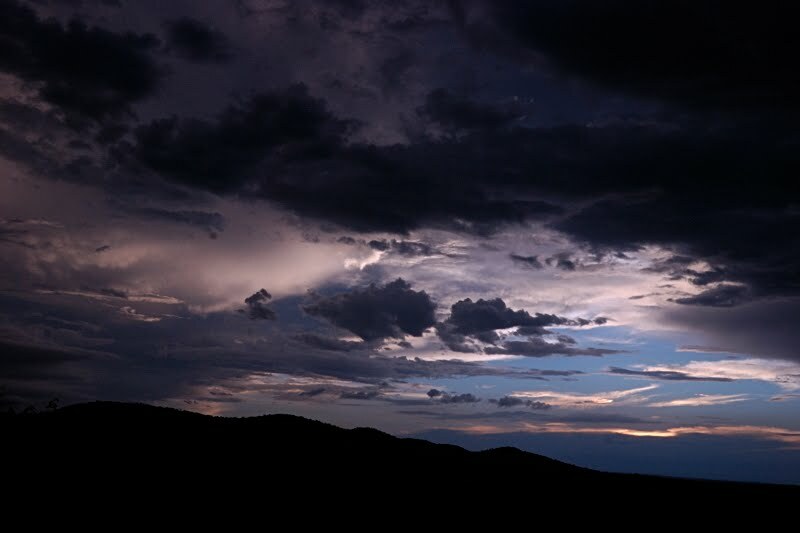 We can only say that the stunning sky kept us mesmerized. 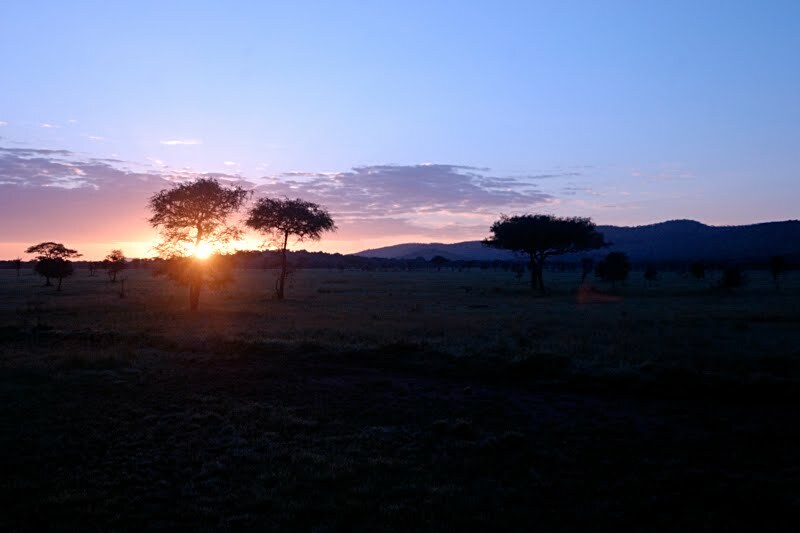 We photographed yet another gorgeous sunrise at the Ikoma bush camp in Northern Serengeti just before setting off on our daily safari into the Serengeti National Park. 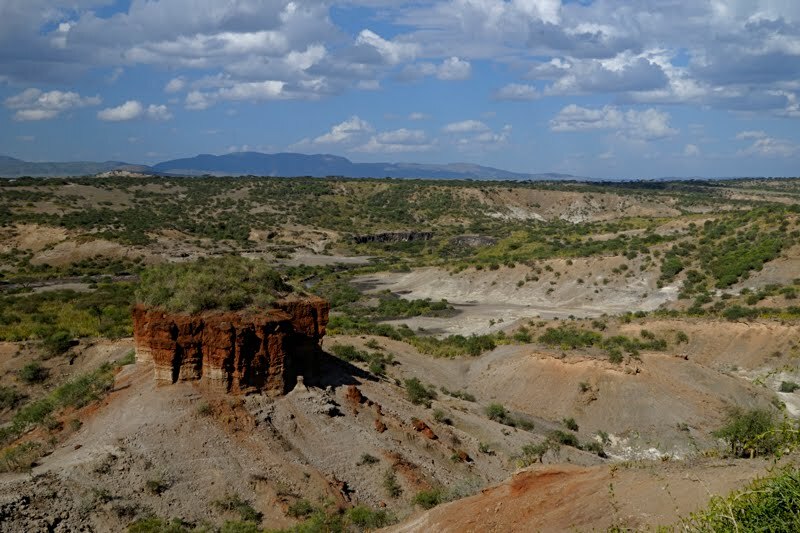 We photographed the Olduvai Gorge, an important prehistoric site and sometimes called “the Cradle of Mankind”. The gorge is situated off the road that connects Ngorongoro and Serengeti National Parks and has been instrumental in furthering the understanding of early human evolution. When you stand on top of the gorge and look at the vast land in front of you, it just boggles your mind to think how life would have evolved here. 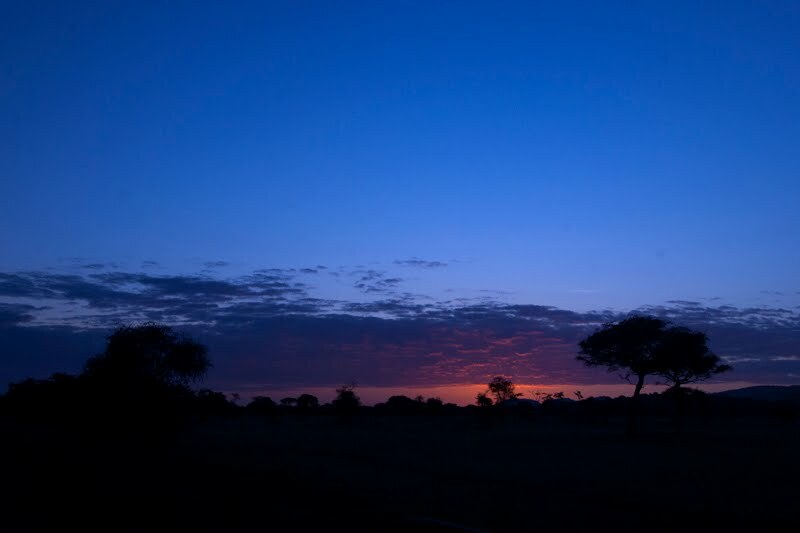 And finally, this stunning Sunrise was photographed at the Kirawira camp in Western Serengeti when we had stopped by the roadside to try and spot some wildlife. You got fantastic scenery Thomas! Gorgeous and the light is wonderful! Great landscape, fantastic pictures, well done ! Having been there last year, I am looking forward for more shots from the Serengeti. Great, Thomas! I am very interested in your country! Also you are invited to join our small comunity on Rainbow Photo Travel Forum where you can share informations about your country, also you can advertise your blog for free, and make new friends! My vote for you on coolphotoblogs! Beautiful! I'm looking forward to seeing more from your trip. WONDERFUL photos! Really enjoyed these! Another fabulous & interesting series of photographs. I envy your for this trip! That crater image is so awesome!! Nice pics as usual Thomas!! Great views. I wish I could have been there ! Olduvai:it's really a breeze making place.You could stand hours watching the rocks and thinking. Fantastic skies and scenery. Thanks for sharing these moments Thomas. Wonderful scenery! I hope you will share many more photos of your trip. Ciao Thomas and Shilpy, you are right, this is a beautiful dream gift of nature!